We were very sad to hear about Zack Snyder's recent family tragedy today. After his daughter's death in March, the Justice League director is now speaking publicly about his loss. Snyder told The Hollywood Reporter that he and his wife are stepping away from the film, to focus on healing their family. Director Joss Whedon will take over filming of some additional scenes in England this summer, and finish editing the movie that is still set for a November 17 release. Read the rest at The Hollywood Reporter. 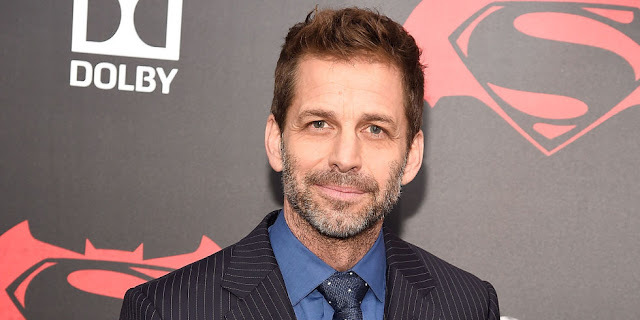 The director's colleagues at Warner Bros. have been expressing their sympathy on social media, along with others who know and have worked with Zack and his wife. My heart, eternal support & thanks to my friend & colleague @zacksnyder - one of the kindest and most inspirational artists I've ever known. My heart breaks for Zack and Deb. Condolences to their family. Thank you @ZackSnyder for leading the league with passion and creativity. We are all so sorry for your family's loss. My heart is truly broken for Zack Snyder and his family. Praying for him and his wife as they struggle to get through this tragedy. We can't help but think that with all Zack had going on these last few months, he still wished Henry a happy birthday and tried to be there for the fans as he continued his work on Justice League. Please join us in sending good thoughts his way. I am devastated, in tears about this. He's such a kind and gentle man, I remember hearing about something hush-hush that happened a couple months back, but no idea it would be so tragic. Borys Kit wrote a really nice article about it, compassionate and professional. Prayers for this precious man and his family. So incredibly heartbreaking. Praying for him and his family. what sad news :( prayers for Zack and his family!